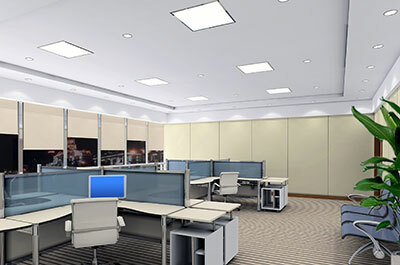 Traditionally, office lighting uses T8/T5 fluorescent lamps, including 2 feet or 4 feet lamps that pair with different fixtures. 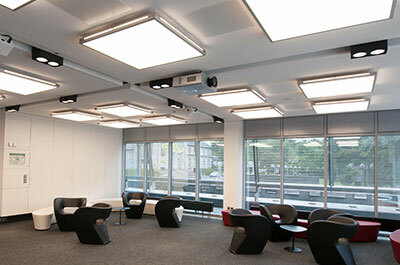 Nowadays, LED lighting luminaires have been widely used for office lighting. We often see fixtures that incorporate 2*2 feet or 2*4 feet side-edge and direct-lit panel or reflection-lit panel. MEAN WELL can provide corresponding LED drivers for such applications. Linear built-in type LDC-35/55/80 series(35W/55W/80W), or independent type LCM/IDLC/LPF or NPF series that covers the wattage range of 25W, 45W, 65W, 90W, and 120W. They accept full range input voltage with global safety approvals and featuring 0-10V or DALI dimming function. Besides, IDLC/ODLC and LCM series can provide auxiliary power for the application on IoT smart timer dimming.